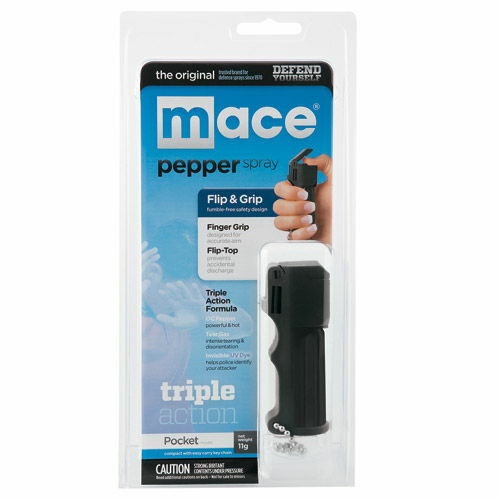 The Mace® Triple Action Pocket uses an easy aim fingergrip feature making this model ideal for women self defense and emergency use. Compact design fits comfortably in a woman’s hand. 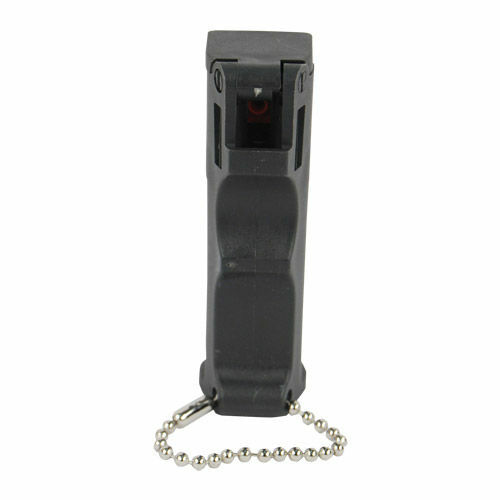 Features flip top safety cap, fingergrip dispenser and keychain. The active ingredients in our Triple Action formula are a careful blend of Oleoresin Capsicum (OC) and tear gas. The OC Pepper causes the eyes to slam shut and uncontrollable choking. The tear gas causes profuse tearing and disorientation. 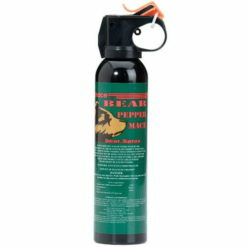 The combination of the two agents produces a powerful self defense spray making this pepper spray model a good choice for an everyday personal defense product. 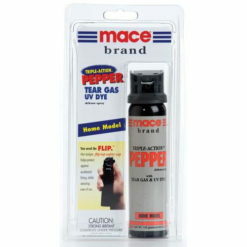 This Mace® pepper spray formula also contains UV dye to invisibly mark an assailant which may aid in identification. 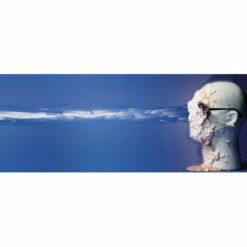 The 11 gram stream unit sprays 6-12 feet. Contains 5, one second bursts. 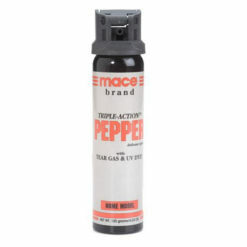 Mace® Triple Action combines OC pepper and tear gas along with an ultraviolet (UV) marking dye. The OC pepper causes the eyes to slam shut, and uncontrollable coughing and choking. Tear gas causes profuse tearing, an intense burning sensation to the face, and disorientation. UV dye marks the assailant, which can aid in identification once apprehended. OC Pepper (Oleoresin Capsicum) is a naturally occurring substance derived from cayenne peppers. UV Dye: Marks the assailant and may aid in identification once apprehended. Effects should lessen in approximately 45 minutes. • Safety: Strong Irritant. Keep out of reach of children. Contents under pressure. Do not puncture or incinerate. 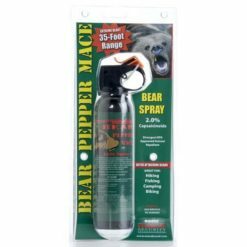 Upon exposure, follow the first aid instructions that were included with your pepper spray. 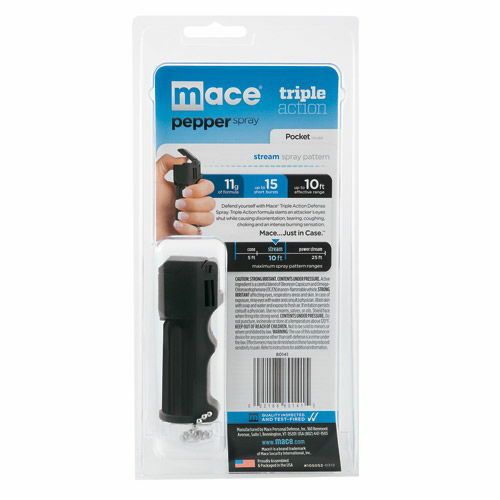 • Storage: Store your Pepper Spray in cool dry area away from heat, flame or strong light. Use with adequate ventilation. Do not store it in an environment where the temperature may exceed 120 degrees F (50 degrees C) such as an enclosed vehicle. 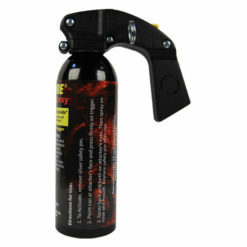 The Pepper Spray cartridge may leak from over pressurization and fail to function properly. Do not store unit in a cold environment under 32 degrees F (0 degrees C). This may cause depressurization and the loss of effective range. • Expiration: Pepper spray has a shelf life of 4 years from date of manufacture. Each pepper spray unit is labeled with an expiration date. After this date, the pepper spray cartridge should be disposed of in accordance with the environmental regulations in your area. 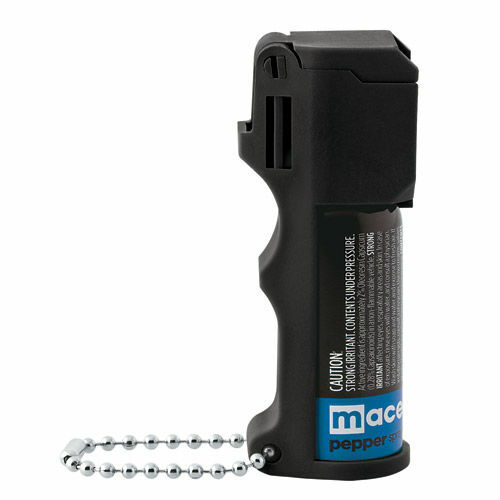 This Pepper Spray Is Covered Under Our FREE Lifetime Replacement Program! 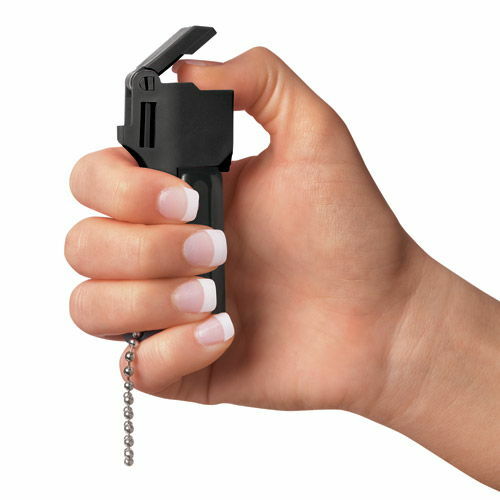 I am a bounty hunter and have used this model pepper spray for a long time. 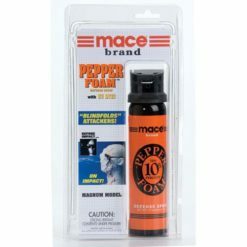 This mace product packs a powerful punch that can knock down any attacker. It works VERY well!